In light of the data scandal that’s rocked Facebook and its community of users in recent weeks, it’s important to understand that the social network collects a lot more information about you than you may be aware of. 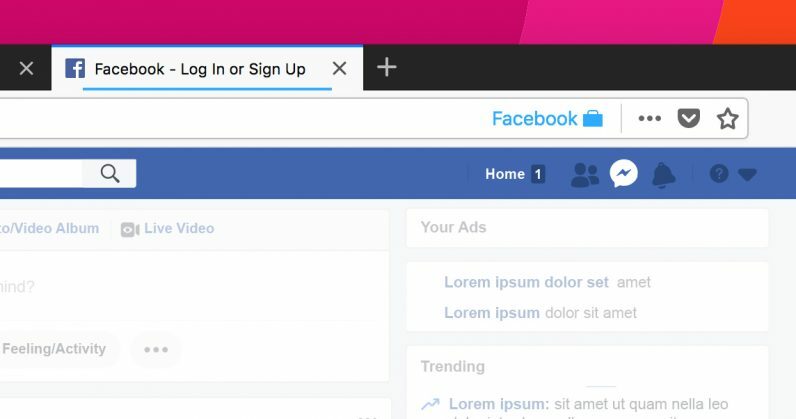 If you’re still keen on using Facebook, though, you might want to access it through Mozilla’s Firefox browser, with the organization’s new extension in tow. The Facebook Container extension essentially isolates your identity on the social network from other sites that use third-party cookies. That means that if you’ve logged into Facebook and then visited a separate site, the company won’t be able to track your web activity and associate it with your profile. Once you’ve got the extension installed, it’ll first delete all your Facebook cookies in Firefox. The next time you visit the social network’s site, it’ll load in a blue-colored tab (which means you’re browsing in a container) and function as normal – except that if you navigate to a non-Facebook site, that page will load outside of the container. It’s worth noting that sites which require a Facebook account for registering or logging in may not work properly because of the extension; the same goes for embedded Facebook comments on articles. But if you value the privacy of your data, that’s a small price to pay. Of course, this isn’t going to stop Facebook from collecting or selling data about you through its site and from other sources where it’s connected to your account – but it’s a great start towards regaining control over your data. The extension is available for Firefox on this page; if you’re wondering about switching to Firefox from Chrome, we’ve got you covered with a handy guide to help you move in just two minutes.